The Fresh Hand Wash Station is the ideal sanitary system for events where water is not readily available and clean hands are a must. Perfect for fairs and festivals where food is served or coupled with temporary restrooms without hand washing capability. 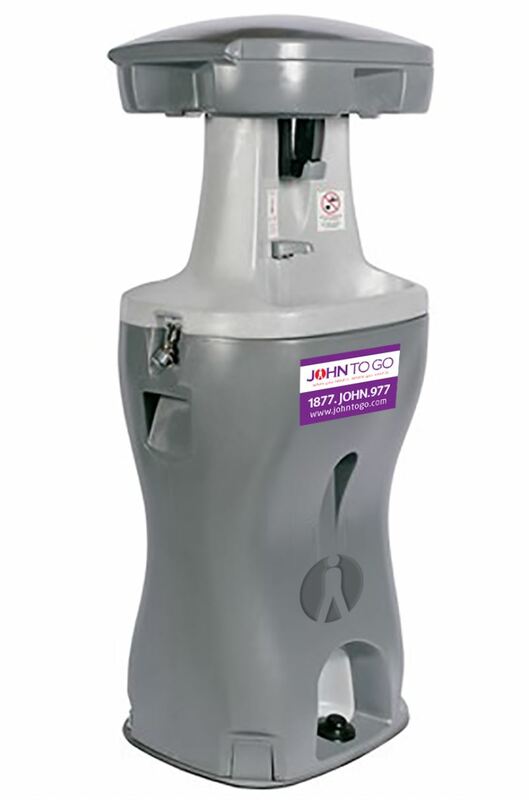 The Fresh Hand Wash Station dispenses an 81/2 ounce metered wash and provides 200 hand washings. Delivered to your site, complete and ready for operation, the Fresh Hand Wash Station makes outdoor events safer, more sanitary and provides an unsurpassed level of convenience and comfort. Fresh Water Capacity: 22 gallonsDimensions: 30.25" x 35.25" x 47.75"
Gray Water Capacity: 24 gallonsCounter Height: 35"
Foot Pumps (2): 1.8 gallon / minuteCounter Area: 30" x 34"